This 9 year old Glenfarclas was distilled in 2002, aged in Oloroso sherry casks and bottled in 2011 for Master of Malt in partnership with Mo-Bro's. November saw another release from a Professor Cornelius Ampleforth - A spiced rum called Rumbullion, which is an addition to a range of products such as the Bathtub Gin and Besmoked Vodka. The range of products come in a bottle wrapped in brown boxing paper, illustrated with antiquated drawings giving it an old fashioned but unique feel. The cork is sealed with a good doze of wax. Rumbullion is a blend of high proof Caribbean rum with added Madagascan vanilla, orange rind, cinnamon, cloves and cardamom. Deep copper colour with bright golden and amber highlights. Rich and defined lavender notes shoot out of the glass with an initial sharp bite, though it quickly mellows down allowing more of the sweetness to come through with vanilla, caramel and some subtle oak and leather entwined with hints of pineapple, slowly drifting up. Warm and spicy on the tongue with a bit of rancio building up to malty, cereal flavours. Rancio and warm spices hit the roof of the mouth finishing nutty and with bit of saltiness and tropical fruit towards the end. Very surprised to read on the label the abv is 53%; in a blind tasting I would never have guessed! Yet another great bottling from Master of Malt. 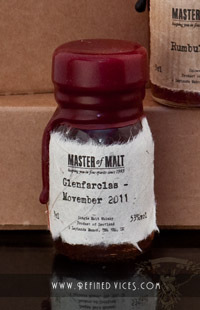 Though this bottling has now been sold out you can find similar bottlings at Master of Malt such as the Glenfarclas 105. Rich mahogany colour and multiple thin legs forming bars all around the glass. Initial thoughts are immediately brought towards Christmas, and I'm not only saying this because Christmas is almost here. Lovely chocolatey orange notes are lingering in the forefront nicely infused with smooth cola aromas. The vanilla is balanced between all the aromas and the spicy cinnamon lingers right at the top of the glass. Sweet and rich cola flavours strike the tongue immediately, while the cinnamon hits the upper palate on the way down. There's that chocolatey orange again with vanilla and cardamom finishing of this beautifully warming and long aftertaste. 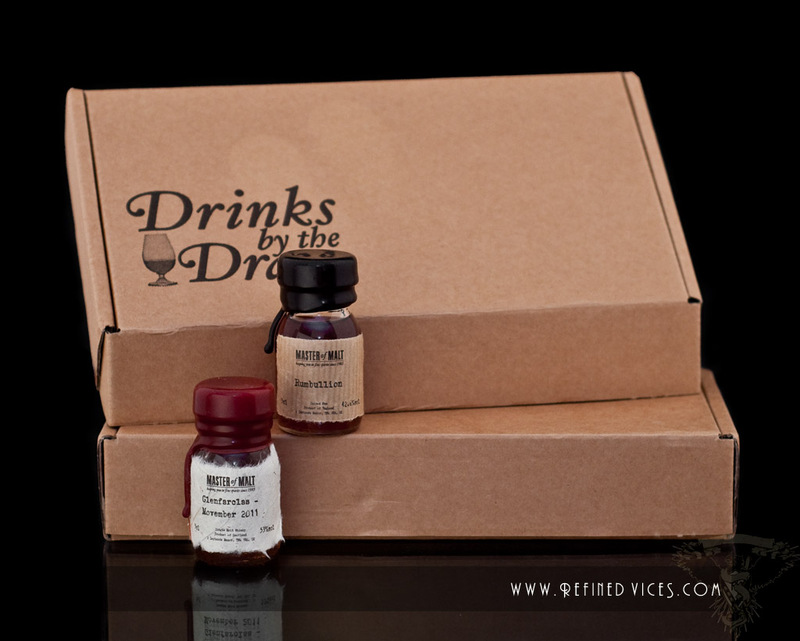 Rumbullion must be one of the better spiced rums I've tried, and the good Professors blend is certainly a winner for all your Christmas shenanigans. Furthermore I do have to note that the empty glass smells like that delicious gingerbread dough you used to steal pieces of as a kid before it went into the oven (I still do it, some people never grow up eh?) - this one brings back a lot of good memories. 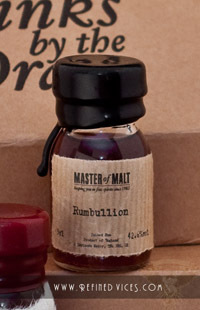 You can purchase your own bottle or a sample of Rumbullion at Master of Malt. For further discussion about Glenfarclas or Rumbullion jump into the forums or comment on facebook.